The Liebert Vertiv VR Wide Server Rack delivers a premium rack solution whenever and wherever IT systems are deployed. This rack gives you the flexibility you need with easy installation. With up to 2998lbs weight capacity feature a frame design that delivers about 19-inches more useable depth. It comes in a 42U frame height featuring Integrated cable management, Lockable doors, and Perforated door (77%). Supporting all standard rack-based equipment. Made of steel construction with powder coated finish for additional durability. So, what are you waiting for? 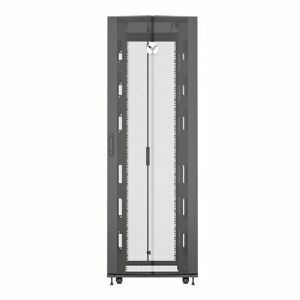 Purchase the Liebert Vertiv VR Wide Server Rack now!